On October 18, 1849, a San Francisco newspaper, the Alta California, carried an advertisement of John Townsend and Cornielle de Boom announcing that the survey for their new city of South San Francisco had been completed and lots were available for purchase. 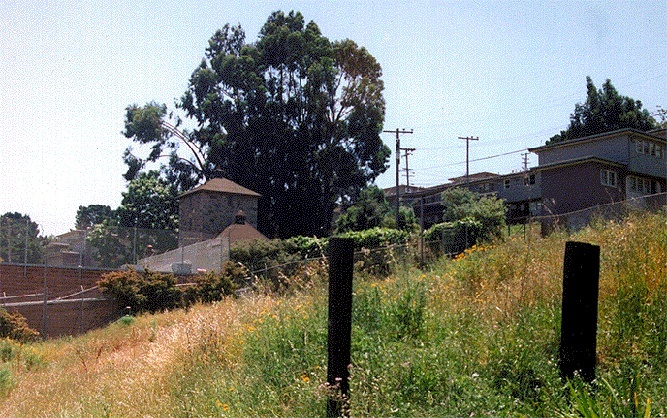 This was not today's South San Francisco in San Mateo County but rather an area some two miles southerly of the 500 or so structures focused on Portsmouth Plaza which then constituted San Francisco. 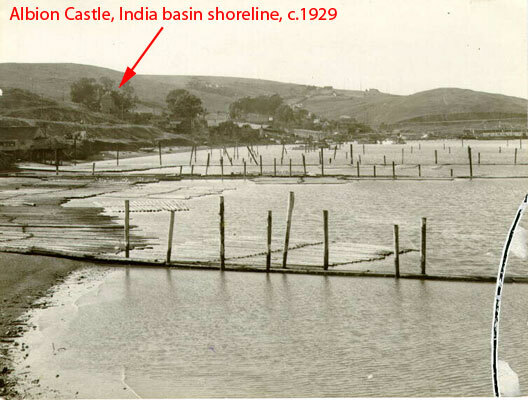 The new city was to be carved out of the Bernal Ranch and was roughly defined by the Bay, Islais Creek and Visitacion Valley. Among the many virtues extolled for the new city were that "ships of the heaviest burden may lay within a boat’s length of the land at many points..." and "...springs of fine running water are found on the face of the hill in many places." Robert and Phillip Hunter, Forty-niners of distinguished American Colonial ancestry, were engaged by the town's founders to promote and otherwise handle real estate transactions. Shortly thereafter a lodging house for prospective lot purchasers Was erected car the intersection of present day Oakdale Avenue and Fitch Streets. Virtually on the Bay shore line, that location was apparently selected because of its proximity to one of the finest springs on the hill. 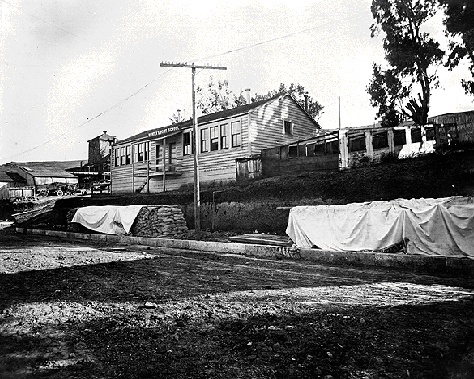 Hunters Point School on Hunters Point Boulevard in 1917, with the Albion Brewery behind. 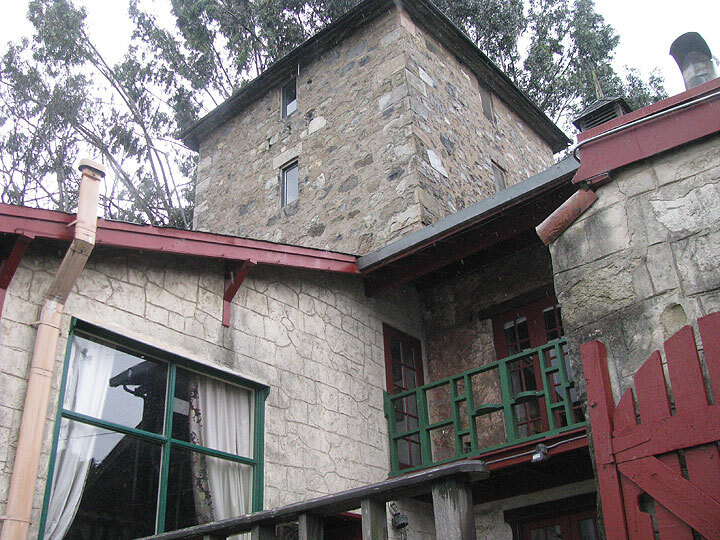 The Albion Brewery, built above India Basin in 1870, produced bottled water for some years and is now a private residence. The dream of a new city rivaling San Francisco never materialized. (The sole public reminder of its contemplated existence being the South San Francisco Opera House erected in 1888 long after the dream had died and the area had been officially incorporated into San Francisco.) The Hunters and their families—including another brother who would join them :'...' later—settled down in and near the lodging house to take up farming and other pursuits. The springs provided an abundant source of water for their activities. This necessity was lacking in San Francisco and as early as 1855 the brothers sold unlimited water rights for $50 a month to the Independent Water Company of San Francisco. Daily supplies were carried by ship to San Francisco and ocean going vessels, which could anchor virtually at the Hunters' doorstep, used the same source to replenish their water needs before sailing outbound through the Golden Gate. The Reverend Francis McCarthy, in his 1942 history, “Hunter’s Point,” (from which this information is summarized) notes that the springs were still be used commercially in that year. Indeed, their commercial use continued until September 1947 when the Navy acquired the property through eminent domain from the Mt. Springs Water Co. Although the springs still flow in 1973, their waters are diverted into a storm sewer. When pressed for a new location, the water company did not have far to go. 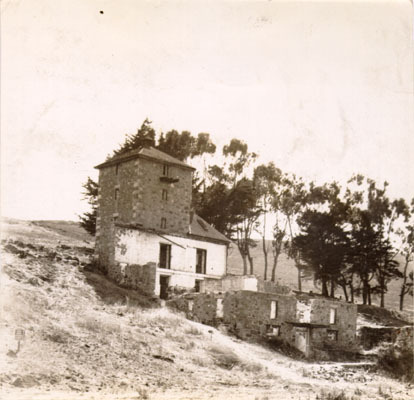 Water from the same source was available and had been used for commercial purposes as early as 1870 at another outflow on the north slope of Hunter’s Point Ridge near Innes Avenue and Griffith Street. 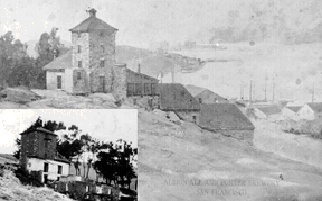 This is the site of the old Albion Brewery just inland from the Anderson-Cristofani boatyard which is nearing the century mark of its existence and occupies what may very well be the only extant original Bay shoreline remaining in San Francisco. 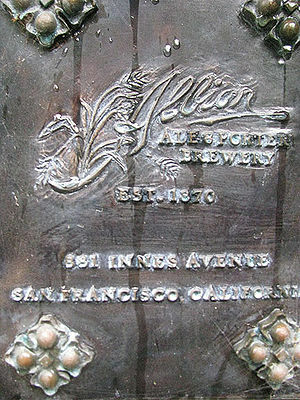 The Albion Ale and Porter Brewery was founded in 1870 by John Hamlin Burnell. Born in East Hoathly, Sussex, England, in 1849, Burnell came to San Francisco via British Columbia. Having failed to make his fortune in the fur trade business, Burnell became interested in producing ales and porters comparable to those in England. A supply of fresh water was a critical ingredient for developing a brewery in "the English Tradition." This Burnell found in abundant supply in the underground springs which run beneath the property. Sources differ about the origin of the materials used to construct the brewery building. One version has it that the brewery was built by English stone masons commissioned by Burnell using local "float rock" hewn from nearby Bayview Hill. Another source maintains that the material used was limestone brought as ballast in English and French ships. These materials might have disintegrated because of climatic conditions, giving rise to the need to employ local stone. 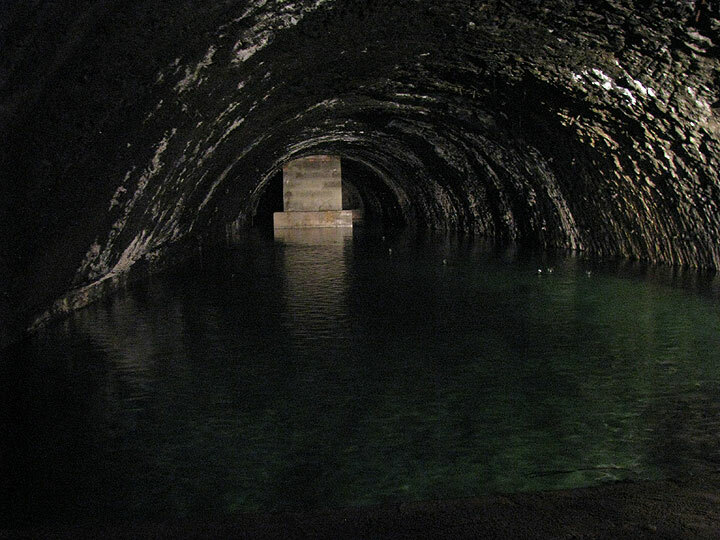 Tunnels used for storing the ale were cut approximately 200-300 feet into the hillside and today are the source of water for commercial bottling. One of several underground cisterns beneath the Albion Brewery and one-time Mountain Springs Water Company. 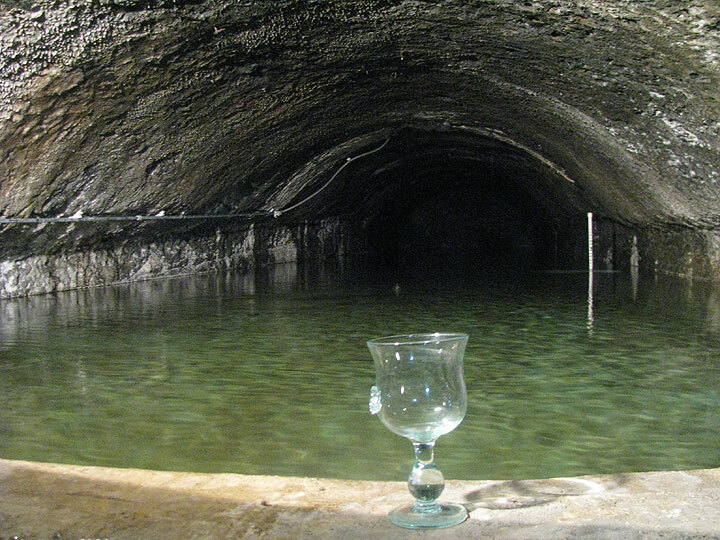 Spring water in caverns under Albion Castle. The structures comprising the Brewery covered fully half the lot, although little remains today but the reconstructed main brewery building, where fermenting kettles and malt mills were once located. This stone building with its three-story stone tower was probably modeled after the Norman castles of England in line with the knowledge of the masons. Burnell specially imported the hops used for brewing from Scotland; from England came the casks and bottles used in storing ale. An 1887 edition of "Illustrative Review" indicated that the brewery was thoroughly supp lied with the latest improved machines and appliances known to the trade. 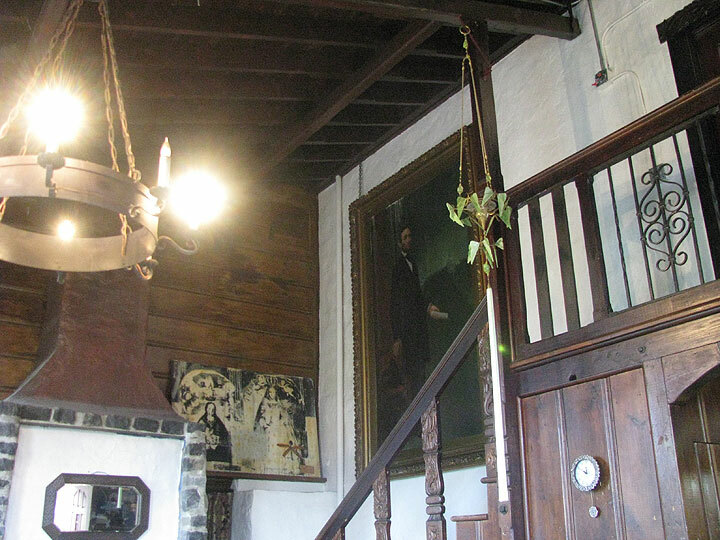 Although Burnell's brewery was not a lucrative business, it furnished the proprietor and his family with a living. 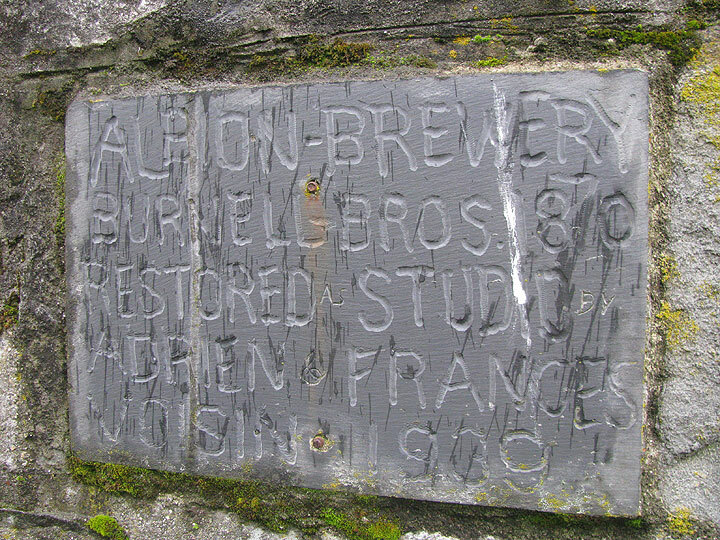 After the death of John Burnell in 1890, his widow, brother and surviving nephews ran the brewery until 1919 at the time of Mrs. Burnell's death. With her death and with the advent of prohibition, the brewery ceased operation altogether. Between 1920 and 1927 the property waS held by trust deeds. The site continued to deteriorate until 1938 when Adrien Voisin, a sculptor, bought the property. Using old photographs and drawings, Voisin restored the main building's stonework to its original quality and used the premises as a residence and studio. Later, the S.F. Mountain Springs Water Co. purchased the water rights from Voisin and in 1964 the company purchased the brewery itself, allowing Mr. Voisin to retain life tenancy. Designed in the Norman style, the stone building consists of two stories and a center three-story tower. The stonework of the brewery is rough masonry. A recessed and arched entrance is located at the center of the building beneath the tower. The wooden front door is well studded and fitted with heavy iron hinges, similar to the style of Spanish doors. The door is flanked on either side by twisted, carved stone columns and is surmounted by a wreath. View from inner courtyard of Albion Castle. 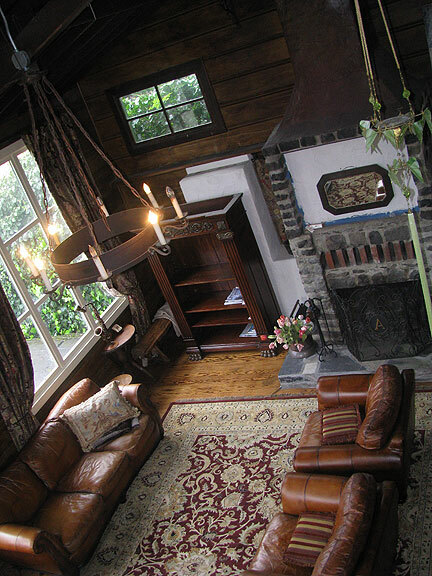 View down from stairs into living room, inside tower structure. 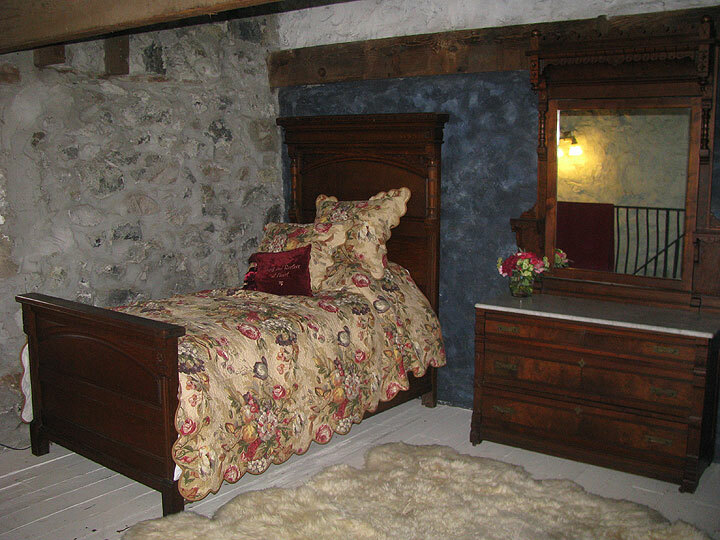 One of several small bedrooms upstairs in the tower. 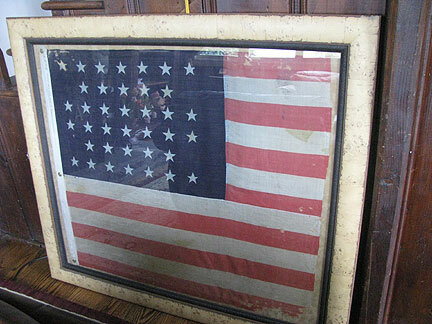 38-star American flag in the Albion Castle. Lincoln hangs in Albion Castle living room. Stone plaque commemorating 1939 restoration of Albion Castle.